Welcome to Newell Pioneer Village! 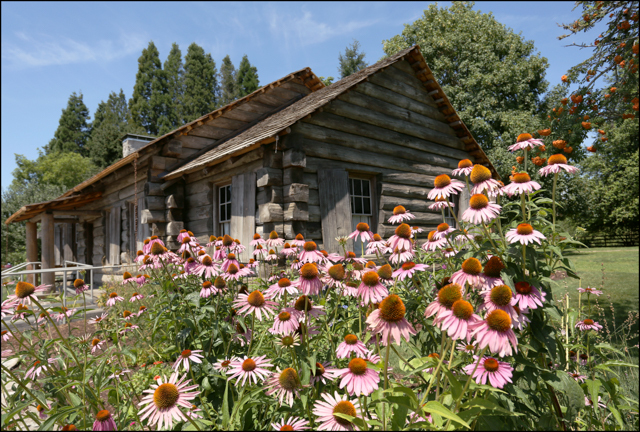 Built to be a romantic replica of a log cabin to honor pioneer women and house artifacts that crossed the Oregon Trail. Originally built in 1859 in Butteville, the school was moved to the Newell Pioneer Village in 1959. Originally built in 1852, the Newell House was rebuilt and restored in 1955. Newell Pioneer Village is a historical site run by the Daughters of the American Revolution since 1954. We have four historic buildings available to tour: The Newell House, Pioneer Mother’s Memorial Cabin, Old Butteville Jail, and Butteville Academy. 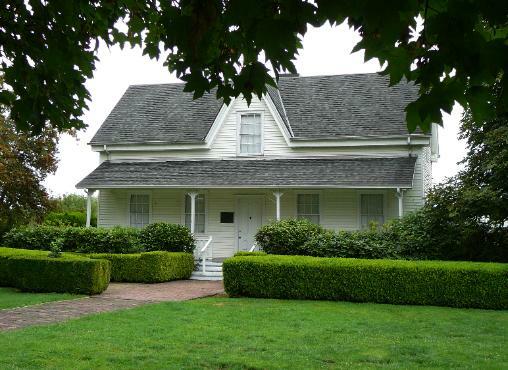 Built in 1852, this two-story house stands on a hill above Champoeg Heritage State Park, home to Robert “Doc” Newell, a prominent figure in early Oregon history, and of the town of Champoeg. Robert lived in Champoeg from 1843, when he and his family brought the first wagon into the Willamette Valley. Mr. Newell went on to vote for a provisional Oregon government, and was the first Speaker of the House in Oregon. The Daughters of the American Revolution purchased is former property in 1952, and restored it , opening it as a House Museum in 1959. Furnished through the generosity of descendants of Oregon Pioneers, we now hold unique collections of artifacts, including textiles, textile equipment, clothing, furniture, as well as other paraphernalia dating to the mid-19th century. We also have a small collection of Native American Artifacts from around the United States. Originally built on the banks of the Willamette River in what is now Champoeg Heritage State Park in 1929, this cabin stands as a museum and memorial dedicated to the many Pioneer Women that braved the Oregon Trail. Opened to the public in 1931 by the Oregon State Society Daughters of the American Revolution to be part of a scenic river by-way along with Oregon State Parks. Unfortunately, this by-way never came to fruition due to the Great Depression. The cabin is a romantic replica of a cabin built after the flood of 1861 by the George Aplin Family, about four times the size of a cabin of the period. Thanks to many donations, the cabin relocated to the Village in 2013, and reopened to the public in 2015. 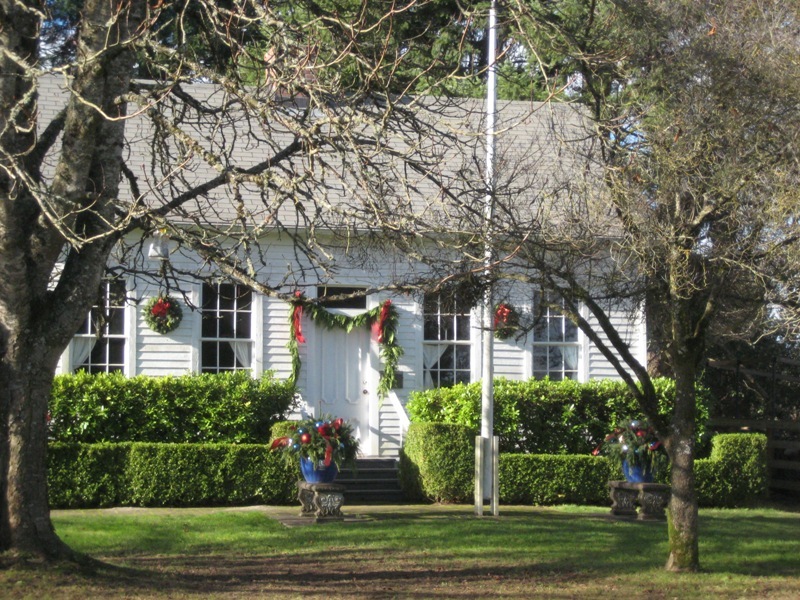 These two buildings moved to the Village in the 1950s, and used to live in the historic town of Butteville, located about three miles northeast from Champoeg. The Academy, built in 1959, also includes an attached teacherage, where the teacher would live. The Jail dates to 1848. Newell Pioneer Villages holds a variety of Living History Interpretation and Reenactment Events for adults and children. Dinners, teas, dancing, festivals, picnics, caroling, and more!